A traditional legal assistant salary includes base salary, bonus, and overtime pay. 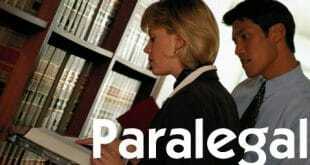 Take a look at the information below to determine where (department and state) a paralegal can earn the most money. You can also see some pitfalls to avoid when you’re offered a bonus and find out how much you can expect in overtime pay. 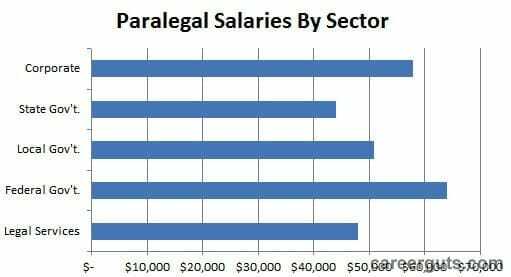 1 Paralegal Salary Ranges by Industries in the U.S.
Paralegal Salary Ranges by Industries in the U.S.
Based on the 2012 statistics, the annual median wage for paralegal job is $46,990. Also, entry level pay is around $35k. But it appears that you can significantly exceed that pay if you get into the right industry or live in the right state. Below table shows the statistical data gathered from all around the U.S. by BLS as well as an outlook for this decade. You will see that paralegal career path looks solid and promising. The information below derived from BLS and re-formatted. The 2006 Annual Compensation Survey for Paralegals indicated that $2,000 were paid on average as a bonus. In that survey, 62% of paralegals reported receiving annual bonuses. The median overtime compensation was $3,922 per year. 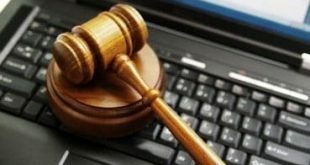 76% of paralegals in law firms received overtime pay, while only 33% of paralegals in law departments reported overtime pay. Private sector paralegals received an average pay of 10.4% more than those in the public sector. The difference in pay was primarily because paralegals in law firms worked more overtime. The survey revealed that paralegals working in the intellectual property, patent, trademark practice earn the highest total cash compensation. The lowest paying practice in law firms is regulatory or utilities. The lowest paying positions in law departments is government or legislative. According to the 2009 Annual Compensation Survey for Paralegals, paralegals working in law firms receive higher base compensation than law department peers. Also, within those law firms, the highest paid paralegals are litigation support/technology managers who receive a median annual base salary of $121,012 nationally.